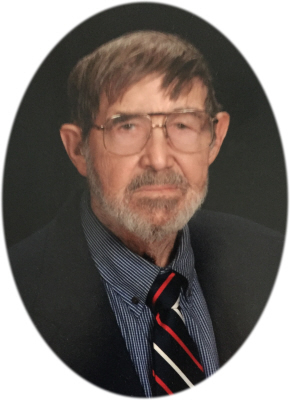 Charles F. Klarich “Chuck” devoted husband, loving father, grandfather and community advocate, passed away at age 87 on Sunday, January 27, 2019 surrounded by his family. Chuck was born in Flint, MI on October 19, 1931 and married the love of his life, Barbara (Waggoner) Klarich in 1950 after eloping to Angola, IN. He enjoyed working in his wood shop, landscaping, tending to his pond, and maintaining their homestead and acreage. Chuck was employed by General Motors Buick Motor Division in Flint, MI where he was a UAW-CIO-AFL Union Representative, a Skilled Trades Maintenance and Construction Supervisor, and a Metallurgical Supervisor. He retired in 1987 and moved to Atlanta, MI where he was elected to the position of Montmorency County Road Commissioner and also served as Chairman of the Road Commission. On behalf of the County, he wrote and was awarded several millions in grant money to improve the roadways of Northern Michigan. He was often called upon to testify before the State Senate for the State of Michigan County Road Commission. Chuck resigned his last term to move to Elsie to live closer to his family and friends. While living in Elsie; Chuck was elected the Duplain Township Trustee where he served for the remainder of his life. 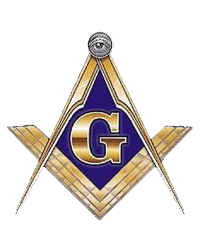 He was an active member of the Elsie, Lewiston, and Atlanta Masonic Lodges, where he held all chairs including Worshipful Master, and received the Mason of the Year Award. He wrote and was awarded numerous grants for the Elsie Masonic Lodge for the beautification and improvement of the Village, as well as multiple charitable organizations including the Elsie Area Food Bank. He awarded numerous Scholarships, and worked diligently for 4 years to get the Elsie Upton Road Bridge on the National Register of Historical Places. He wrote weekly articles for two newspapers to keep the local community informed of Masonic and Township activities, and to inform the public of contributions the organizations he served were making to the community. He was a member of the Ovid and St. Johns Masonic Lodge, Elsie Arts Council, Friends of the North East Michigan Ecosystem, Past Vice President of Elsie Lions, Eagles, Montmorency County Farm Bureau, Black River Restoration Club, Adopt a Forest, Montmorency Conservation Club, Adopt a Road, Thunder Bay Watershed, Montmorency Townships Association, Lewiston Historical Society, Atlanta, Hillman and Lewiston Chambers of Commerce, and assisted with building 26 homes for Habitat for Humanity. Chuck worked cooperatively with Townships, Congressmen, the Speaker of the House, and the State of Michigan on numerous community improvement efforts. He was always ready to assist his fellow man and make a contribution to humanity. Chuck was a devout Christian and was a member of the Elsie United Methodist Church and the Duplain Township Church. Chuck is survived by his wife of 68 years, Barbara Klarich; daughter and son-in-law, Connie and Gary Sovey; granddaughters: Andrea (Josh) Havener, and Erica Sovey (Matt Vaughn); daughter-in-law Vickie Klarich; grandchildren Kelly (Carl) Sharkey and Luke (Tiffinie) Klarich; 5 great-grandchildren: Kourtney and C.J. Sharkey, Ella and Josie Klarich, and newborn Sullivan Havener. He was preceded in death by his beloved sons: Charles L. Klarich and Steven R. Klarich.